Some of the biggest names in the smartphone business—including Apple, LG and Huawei—now make phones with dual-lens cameras installed, and other manufacturers are tipped to follow suit soon. Not all phone makers use two lenses in the same way: on the Huawei P9 one takes shots in black and white to tease out more information about light, whereas on the iPhone 7 Plus you get the advantage of 2x optical zoom for a closer look at your subjects (one lens is wide-angle, and one is telephoto). Here are some tips that should work for most phones with extra photo capabilities. Thanks to iOS 10.1, the iPhone 7 Plus can utilize its Portrait mode, creating an effect known as “bokeh” where the background behind a subject is blurred automatically. Officially it’s still in beta but you can get some pretty decent results out of it. Swipe across the photo modes to Portrait then frame your shot—your iPhone will tell you if you need to move further away or find more light. Getting shots right should become second nature with practice but don’t expect Portrait mode to work wonders with any shot. Keep your composition as simple as possible, with your subject (living or inanimate) as clearly defined as possible to avoid blurring the wrong thing, like the spines of the cactus in the image above. Experiment with exposure levels too, by tapping on the screen then dragging up or down on the sun icon. This will make things brighter or darker. 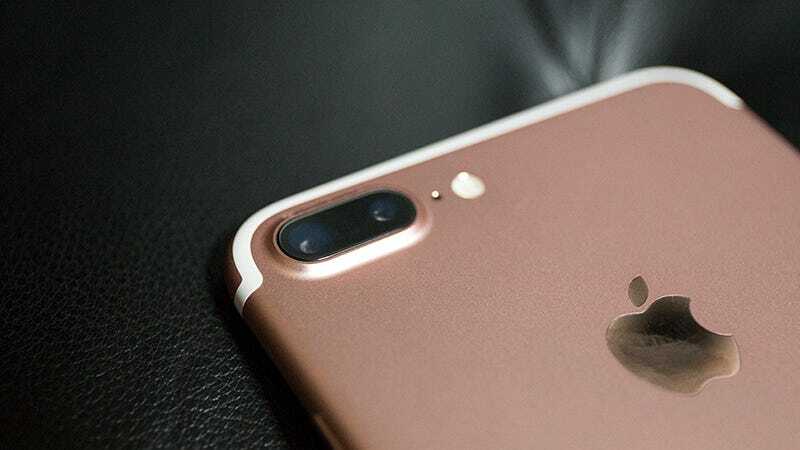 Zooming in with optical zoom on the iPhone 7 Plus isn’t difficult—you just tap the 1x button above the shutter button and hey presto, you’re twice as close to your subject. Actually getting good shots is another matter though. As with zoom on any camera, keeping your phone steady becomes even more important, so you might want to invest in a portable tripod if you’re serious about getting some quality shots; if not, a wall, table, or even a friend’s shoulder could work as a stand-in. If your phone doesn’t have a second physical lens for zooming than digital zoom is an option too. Yet digital zoom is an inferior technology that essentially just enlarges and crops the photo. If you do want to use it, tap and hold on the zoom button then drag left or right. Just don’t expect super sharp results. Android being Android, dual lens systems by the likes of HTC, LG, and Huawei are all implemented slightly differently, so it’s not as easy to talk about them in broad terms. Yet we’d recommend diving into the settings on the default camera app because there’s usually a ton of options to play around with. On the Huawei P9, for instance, you can access the bokeh mode and blur the background by tapping the aperture icon that looks like a little camera lens on the left of the screen. Though the camera app will need to be in Photo mode and used in landscape view instead of the taller portrait view. Once bokeh mode is turned on you can then use the slider to change the depth of field. Huawei’s phone also lets you adjust the focus after the shot has been taken. The same aperture icon appears when you open up a photo from the gallery. Dual lens phones from both Huawei and LG also have robust manual modes, which mean you can tweak focus, exposure and other settings without downloading a third-party app. While downloading third-party apps can feel like a hassle, sometimes they give you some incredible options for shooting. Since the arrival of the iPhone 7 Plus, app makers have been rushing to add support for the extra camera lens and some of the best third-party camera apps on the platform, like Camera+ and Filmic Pro, now have extra features for those dual lenses. Typically this means being able to switch between the wide-angle lens and the telephoto lens (as shown above) if you don’t want to use them automatically together, something iOS itself doesn’t allow you do yet. But third-party apps also let you control exposure, shutter speed, and even ISO (the sensitivity of the camera’s sensor to light). If you want more control over your shots then it’s worth investing in another app. We’ve yet to see apps with specific dual lens support appear on Android, but the native apps supplied by the phone maker will usually come with a few options and tricks you can try to take advantage of the extra hardware. Something Android manufacturers are far more keen on than Apple is bundling a pile of special camera modes into their phone apps—the same sort of weird modes you might see on a point-and-shoot. Open up the default camera app to see what’s available. In the case of the Huawei P9 you’ll come across a monochrome mode which obviously lets you use the black and white lens on its own for sharp, clear shots. On the LG G5 and LG V20, on the other hand, you get modes like Popout and Multi-view, which allow you to use both lenses separately and in tandem to produce a variety of overlay and collage effects. You won’t be using them often but it’s worth familiarizing yourself with them just in case they come in handy.